Typhoid Fever—a life-threatening disease—still impacts about 21.5 million people every year. It spreads, quickly, when living conditions are unclean. It is possible for a healthy person, who is not ill with typhoid, to be a carrier of the disease. Mary Mallon—an Irish-immigrant cook—was such a person. She became known as "Typhoid Mary." Quarantined even though she was not ill herself, Mary Mallon went to the sickhouse on March 27, 1915 (where she lived for most of her remaining life). Typhoid Mary was Mary Mallon, a healthy carrier of the disease who infected a number of people - at least three of whom died - in New York City. Once identified as the source of these outbreaks she eventually became demonized in the eyes of the public. Her nickname remains an all-purpose pejorative term for individuals - real or imagined - who wilfully spread disease. Born in County Tyrone, Ireland [one of the six counties of today's Northern Ireland], Mary emigrated to New York in her teens where, working as a household cook, she left a trail of illness wherever she was employed. After being first identified as a carrier in 1907, she was quarantined to the Riverside Hospital on New York’s North Brother Island [an island in New York's East River]. She was released three years later on condition that she never worked as a cook again. Mary reneged on this deal and was found working under the name of Mary Brown in the kitchens of a New York hospital. A recent typhoid outbreak at the same hospital had claimed two lives and so any residual sympathy for her plight turned to anger - not helped by Mary’s insistence that she was not a carrier. To the public she was THE carrier. This time she was exiled to the island permanently. Mary finally left the island in 1938 - in a coffin. She had died of pneumonia at the age of 69 and was buried across the water in the Bronx borough of New York. The Riverside Hospital closed shortly afterwards. Fifty years after the death of the real Typhoid Mary, a troubled character with the same name “who poisoned all she touched” made her first appearance in Marvel’s Daredevil comic-book series. The video at the top of this page—a clip from the "Science Channel" series "Dark Matters"—sets-up Mary Mallon's improbable story. The investigation into Mary Mallon, as a spreader of typhoid fever, begins when George Thompson—the owner of a Long-Island home at Oyster Bay—can no-longer rent his home to wealthy families. The reason is because people who stayed at his home during the summer of 1906 became extremely ill with the disease that normally infects poor people living in slums, not wealthy families living in clean mansions. With his house now known as a place where people contract typhoid fever, George needs to find out what's wrong. Thompson wants an expert to examine his home. Is there something wrong with the sewage system? Is there something wrong with the plumbing? 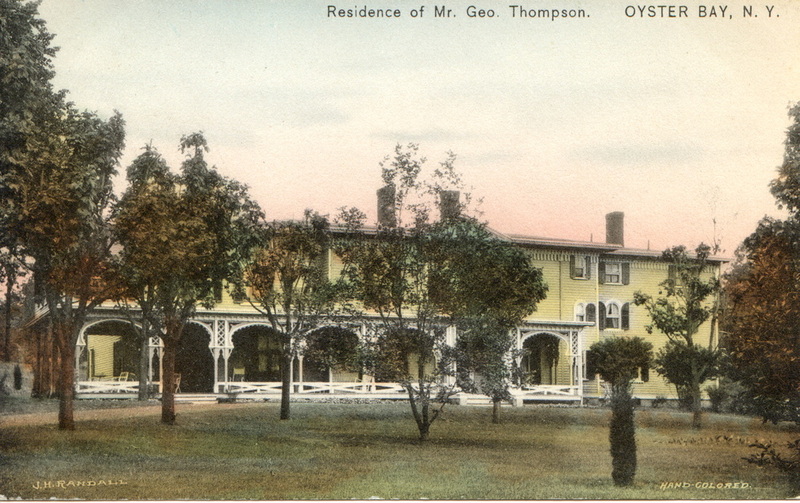 Thompson hires George Soper who gives the home, and its infrastructure, a clean bill of health. Soper asks more questions as he continues his investigation into Thompson's home. He learns that people became ill soon after eating a favorite dessert—homemade ice cream with fresh peaches—prepared by a cook named Mary Mallon. After checking with various employment agencies, Soper learns that Mallon has been a cook for eight other families. Members from at least six of these families have also contracted typhoid fever. A few of them have died. Soper believes that Mary, the cook, is spreading the dreaded illness. When Soper meets Mary, he learns that she has never had typhoid fever herself. Even so, Soper believes that Mary Mallon is the common link between the illness and the people getting sick. Soper, and many others, believe that the immigrant from Ireland has become "The Most Dangerous Woman in America." Clip from "Typhoid Mary," a Science Channel production for the series "Dark Matters." Copyright, Science Channel, all rights reserved. Clip provided here as fair use for educational purposes. For more, see "Dark Matters" at the Science Channel online. Bos, Carole "Typhoid Mary - Disease Carrier" AwesomeStories.com. Oct 07, 2013. Apr 19, 2019.